You can drink me as a tea. Thank you God for making Goldenrod! Have you ever been blamed for something you did not do? Innocent though perceived as guilty? That is the plight of Goldenrod. Not only is it often falsely blamed for Fall seasonal allergies it is not often credited with all the good that is does do. I’m here to set the record straight for this fabulous plant and help us appreciate it’s amazing offerings to us for food and for medicine. Goldenrod blooms from July through October often next to it’s inconspicuous neighbor, Ragweed. Ragweed’s obscure green flowers have pollen that when magnified looks like a medieval torture implement. 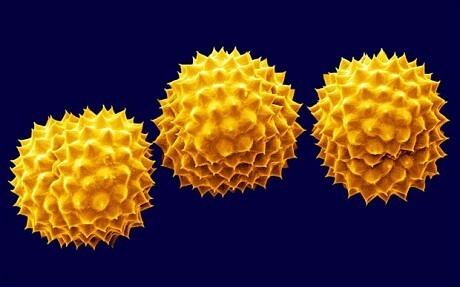 These terrifying spheres from hell are wind pollinated and fill our nostrils and sinuses causing ‘hay fever’ reactions. Just one Ragweed plant is capable of producing about one billion grains of pollen in a single season. Goldenrod stands tall in it’s sunshiny glory next to this obscure miscreant and often gets blamed for evils it had nothing to do with. Goldenrod’s pollen is heavy and not air borne but insect pollinated. Insects abound in and around this beauty collecting pollen and transferring the life on wing. Goldenrod is not only not to blame for Fall allergies but it is the antidote to them. Infusing a local honey with it’s golden rays makes for a wonderful medicine for Ragweed pollen suffers. Local honey has been collected by bees from the pollen that grows in your area and will help to build immunity and bring relief particularly when infused with Goldenrod. There are 120 species of Goldenrod, they all have similar medicinal properties but the one I enjoy eating and drinking the most is Solidago odora for it’s anise scented plume of golden flowers. Solidago means to ‘make whole or solid’ In the Language of Flowers Goldenrod means encouragement which is easy to understand for it’s sunny disposition. 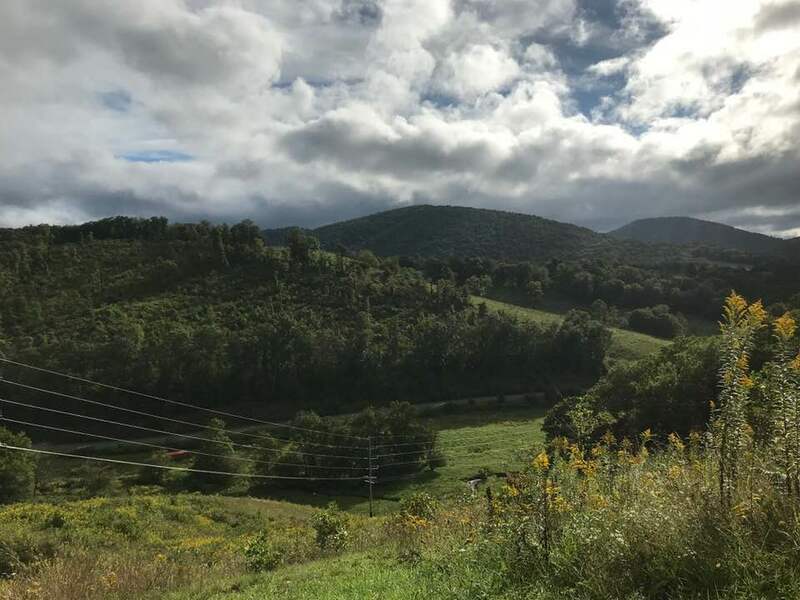 I have sat on my mountain side surrounded by a sea of Goldenrod’s bright yellow plumes and felt like the sunshine was all about me even on a cloud day. 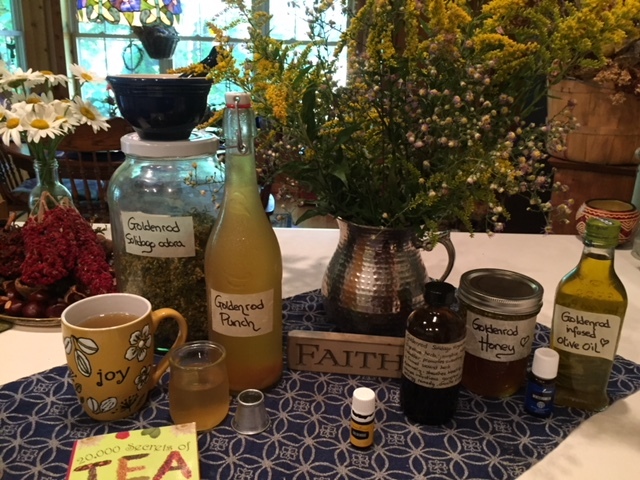 This year I am collecting baskets full of Solidago odora for teas, tincture, infused honey and oil and for a new experiment with dyeing fabrics with it’s colorfast natural dye. I was fascinated to learn that the various species of Goldenrod result in different colors of dye from green, orange, yellow and brown. As I follow through with my natural dye’s experimentation I will blog about it to share my findings. Historically, Goldenrod, Solidago odora, won the name ‘Liberty Tea’ as the Patriot’s tea of choice after the 1773 Boston Tea Party when angry American colonists dumped 342 chests (46 tons) of British East India Company Tea into Griffin Wharf’s harbor in Boston protesting Britain imposing ‘taxation without representation’. Not only does this species of Goldenrod have a pleasant anise flavor it’s healing qualities are significant. There is 7 times more anti oxidants in Goldenrod tea than in green tea! 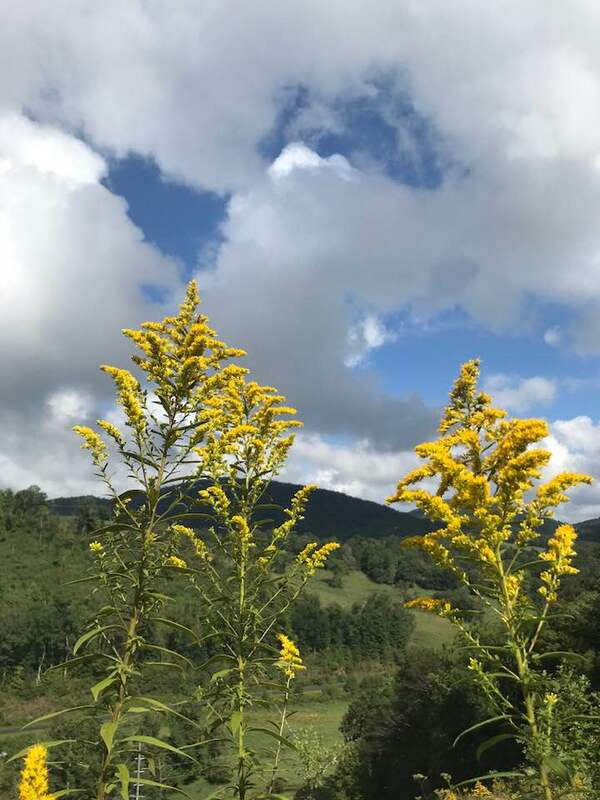 Goldenrod is a perennial upright plant whose woody rhizomes and woody stems can reach up to 7 feet tall depending on the species. The lanceolate leaves grow alternate along the stem. Solidago is in the Asteraceae family (Daisy family). Since these golden beauties grow in fields, meadows, roadsides and just about anywhere with ease I don’t allow them in my garden because they are edgy and aggressive and will take over all the other plants with zeal. It’s beauty is tempting to keep it close by but one has only to walk a short distance to find fields of gold to harvest without concern for the loss of other less competitive plants that you want close at hand. Muscle Pain: infuse an oil of the Goldenrod flowers. This works wonders on strained muscles. I love to add a few drops of essential oils to this oily infusion but even by itself Goldenrod is a powerful anti inflammatory. This oil can be used to make salves, liniments, and creams as well. Kidney Health: Goldenrod has an affinity for the kidneys. It’s stimulating and tonifying qualities help strengthen the kidneys to work better. Being a diuretic it also makes you pee more and this helps flush out the kidneys. A strong decoction of the root is recommended for kidney health. I have yet to try this with Goldenrod roots but after discovering this I am determined to save some of the roots I’ve been ripping out of my garden for this purpose. Colds and Flu: Being a diaphoretic, a hot cup of Goldenrod tea opens up pores and releases heat through the skin and this will raise body temperature causing perspiration which will help break a fever. For sore throat, try the tea or the infused Goldenrod honey. That same cup of tea cooled acts as a diuretic and flushes out the bladder and kidneys when needed. 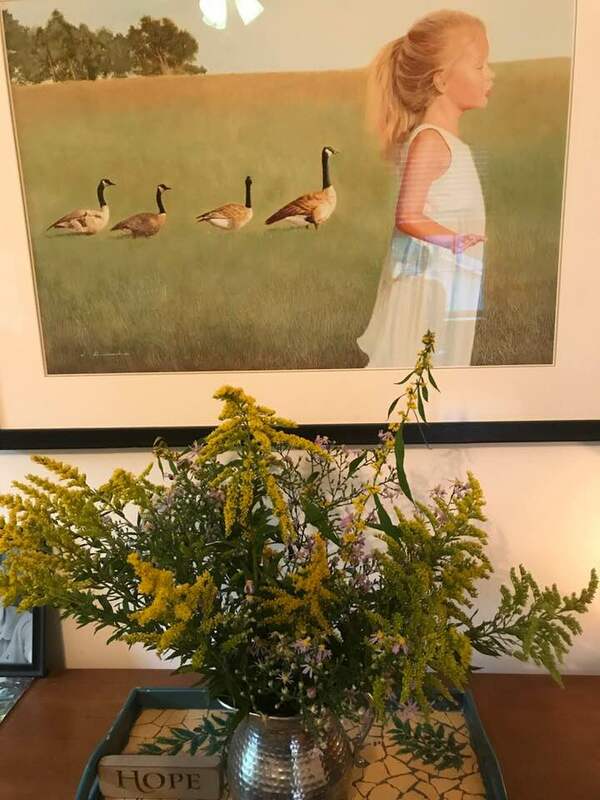 Anti Depressant: Perhaps Goldenrod is Summer in a jar since these golden blooms have an uplifting effect for people suffering from SAD, Seasonal Affective Disorder. Drink as a daily tea during Winter. Digestion: Goldenrod helps stimulate digestion. Eat it raw in salads or drink a cup of tea before a meal to get stomach juices flowing with it’s bitter properties or after a meal to help sluggish digestion. Anti Fungal: Goldenrod’s saponins are anti fungal and effective for use with Candida fungus which causes oral thrush or vaginal infections. Make a strong gargle with the tea for oral fungal issues and a sitz bath of the tea for vaginal infections. Some people have used the tea in douches to treat infections or just for preventative hygiene. Styptic: Goldenrod has styptic properties that stop bleeding. Powder the dried flowers to put on shaving cuts for quick coagulation of the blood. Circulatory Support: Due to it’s stimulating properties Goldenrod supports the circulatory system. Decongesting the liver is key to all health challenges. It is also an aphrodisiac. Extremely helpful for men’s sexual health. After all it is called, Goldenrod! Due to it’s strong circulatory support it has been called the herbal viagra. The essential oil of Goldenrod is the best option for this use. You can apply Goldenrod essential oil to the lower abdomen, ankles or Vita Flex points on the feet either straight ‘neat’ or diluted with a carrier oil. I read recently that adding 10 drops of Goldenrod essential oil to 1/2 cup Arrowroot powder in a container with a shakeable lid, mixing well, allowing to sit and mix agin it can be used as an adult body powder. Adding that to my bucket list for sure! Dye: Our local Girl Scout troop is working on dyeing fabrics with natural plant dyes and I will be assisting them in this quest. Goldenrod makes a pretty yellow color depending on the species. I hope to experiment with all the Goldenrod species on my mountain to see all the shades each has to offer. Fishing Bait: As Fall declines into colder weather and Goldenrod finishes flowering, ball-shaped swellings on some of the stems emerge. 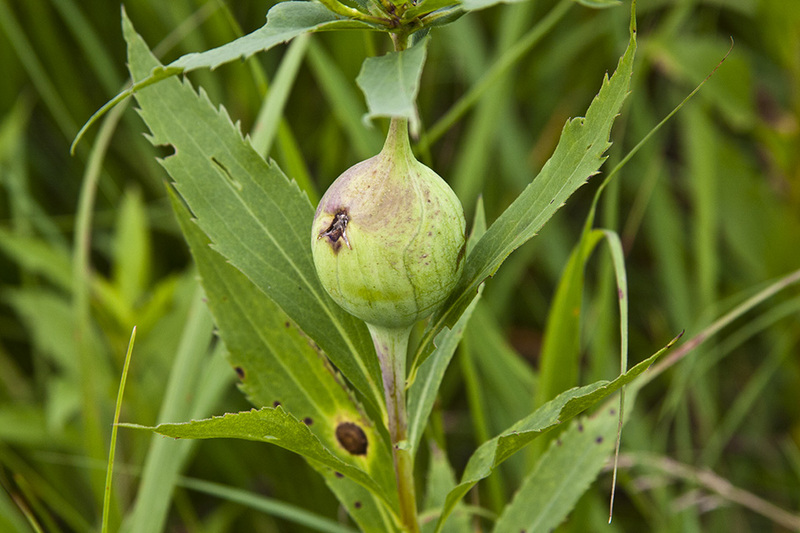 These spherical swellings are galls produced by the Goldenrod gall fly. The saliva of the larva, hatched from the eggs the females had laid along the stems of Goldenrod, causes the lining of the stem to swell creating a cozy home for the metamorphosis of the Goldenrod gall fly. Fisherman love using these fat and juicy larva as fish bait if the woodpeckers don’t beat them to it! Rubber: Surprisingly, Thomas Edison experimented with Goldenrod to make rubber. 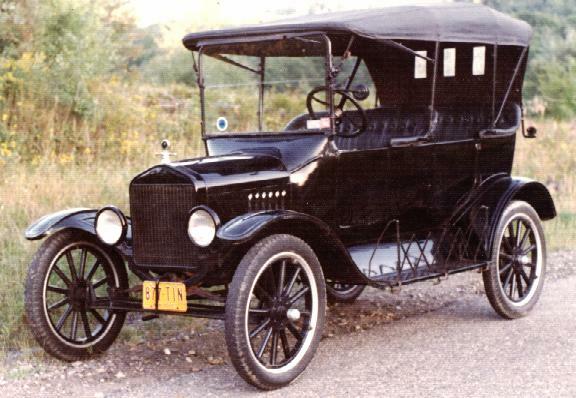 In the 1930’s Henry Ford gave Edison a Model T with tires made out of Goldenrod. In ruminating on this yet another green gift from our Creator, I am reminded of the ultimate ‘fall guy’ throughout all of history, Jesus Christ. Yet Jesus didn’t mind being misunderstood because He knew His mission and gladly took the blame and the shame that rightfully belongs to you and me. Here are a few Scriptures to shed light on His unsurpassable sacrifice of Love demonstrated by giving His very life to restore us to the heart of God. Infuse Goldenrod flowers in honey and also olive oil. 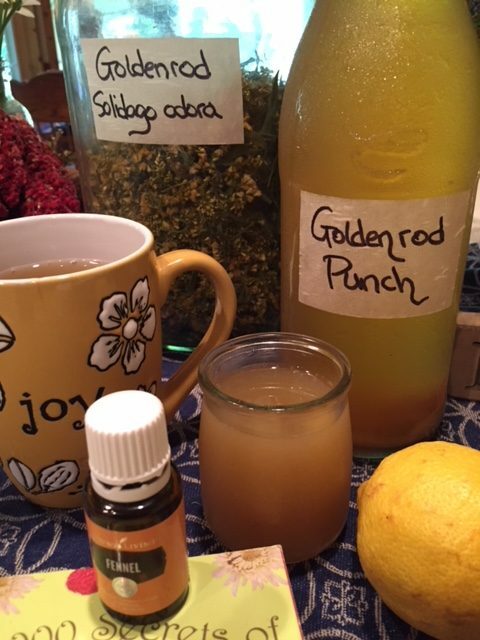 Tincture Goldenrod for your natural apothecary. Dry bunches for Winter teas. Strip petioles of the golden flowers to add flavor and colorful nutrition to your salad. 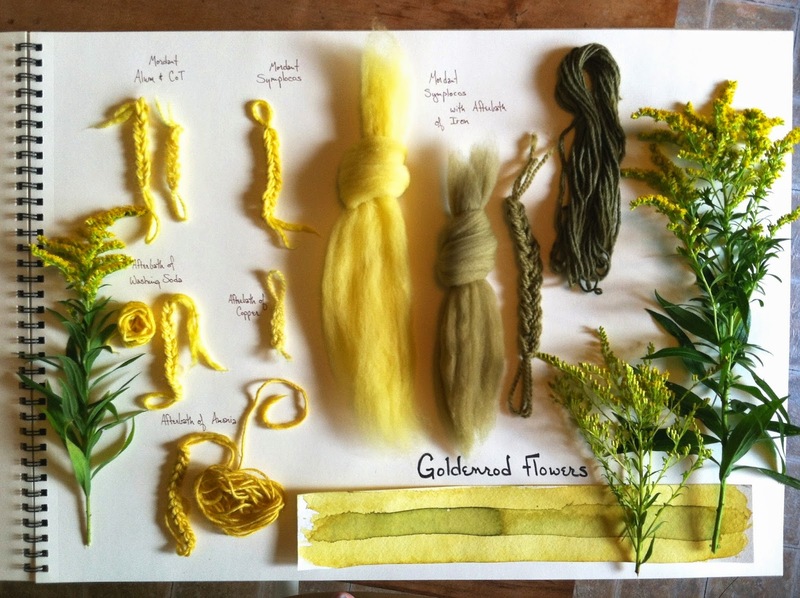 Try your hand at dyeing fabric for that Goldenrod glow. Play with this gift, embrace it, use it to stay well and remember to say.